You are entering into a contract, or a contract to which you are a party has been breached. Many people are victims of the system because of lack of knowledge regarding their legal rights. While not every wrong is actionable in a court of law, there are many ways an attorney can help protect your rights. If someone has cause you harm, or you are in trouble, and have no idea how to deal with it, don’t assume that nothing can be done to help you. Many people would love to have an attorney to review forms and agreements before signing them, to direct phone calls from collectors to, or to deal with a retail company that ripped them off, but they assume that the cost of hiring an attorney is prohibitive. 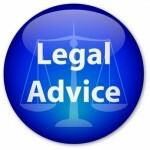 If you feel that something is not right in a transaction, by all means, seek online legal advice. Through an online consultation you can get an estimate of the costs involved in hiring an attorney, and more importantly, you can find out whether or not your problems are of the nature that requires the advice or services of an attorney. In any event, online legal advice will ease your mind and keep you from contemplating the “what ifs”. By reviewing the information on the relevant subject pages of this site, you can get a good idea of what your rights and obligations might be under your current circumstances, but only an experienced attorney can tell you how your problem can be resolved. Most problems can be resolved outside of the court system, and at less cost to you than you might think. Do You Need Help Dealing with a Legal Judgment? There are basically two types of legal judgments: criminal judgments and civil judgments. If you are facing a criminal judgment, consultation with criminal lawyer is advisable. A civil judgment is a final court decision and order resulting from a civil lawsuit, often requiring one of the parties to pay a specific sum of money to the other party. Legal judgments may occur if you are in debt and unable to pay the amount owed and the judgment creditor gets a judgment against you. They can also occur in a civil suit when civil judgment becomes a factor. In any case, after a legal judgment is made, there is the possibly that judgment liens can be placed on your property or that your paycheck can be garnished to repay the debt or judgment lien. Most creditors do not want to take you to court to collect money that is due to them. In many cases, it is possible to have an attorney negotiate the debt or payment terms in a way that will satisfy the creditor and will give you the chance to come to terms. It is a good idea to get an attorney involved early on in such circumstances. Ignoring your creditors and collection attempts will most likely prompt them to sue you in court. It is best to get the situation under control before the creditor goes to court and becomes a judgment creditor. Once a creditor gets a legal judgment, they are able to enforce it with the assistance of the court by filing for judgments liens or execution. Sometimes a lien is placed on real property and the legal judgment is not satisfied until the property is sold, at which time the judgment creditor gets paid first out the proceeds of the sale. For small debts, usually execution through seizure and judgment liens is not necessary, and the debt can be collected through garnishment of the debtor’s salary or income. In the case of a bankruptcy, civil judgments can be discharged. However, in some cases, if a judgment lien is filed, the lien will survive the bankruptcy but you may no longer be able to collect the debt through seizure. If you are in process of collecting a judgment, the assistance of an attorney is recommended. If you have a legal judgment against you and you are considering filing bankruptcy to get the judgment dismissed, it is also advisable to consult with an attorney to get legal help considering your options. A bankruptcy does not always assure that a judgment will go away, and it does not ensure that your assets or property will be secure against seizure. Making the decision to file bankruptcy may have consequences that you are not prepared to deal with. Getting an attorney’s advice about your options (and the consequences of such options) will help you to make the best decision for you considering your circumstances. Most legal judgments don’t last forever and remain eligible for enforcement. In fact, most states allow judgments to expire in eight to ten years unless the judgment creditor files for a judgment extension before expiration. Usually, if you are the debtor in a legal judgment, the judgment will stay on your credit report and affect your credit for seven to nine years. An attorney who specializes in credit issues can help you to ensure that judgments are dropped from your credit report in accordance with the law. Regardless of your situation, whether you are the creditor or the debtor, it is advisable to get legal help from an attorney who specializes in legal judgments. They can give you advice, based on the law in your state and your unique circumstances, to make sure that your rights are adequately protected in accordance with the law. Whether you are judgment creditor or judgment debtor (or if you stand the chance to become one) it is best to have an attorney who is prepared to represent you and to protect your interests when it comes to a legal judgment. When you need legal services it can be a stressful time. You may be worried about the costs associated with hiring a lawyer, in addition to the matter that requires legal assistance. However, instead of worrying about what might happen, take action by hiring an attorney who can explain the law, lay out your options, and, if necessary, represent you in any legal action that takes place. Legal referral services, such as LegalHelpLawyers.com, can help you to find an attorney who is qualified to provide the exact legal services you need. By using legal referral services, you will save the time spent in researching attorneys and their specialties. In addition, you will save money because you will get cost comparisons, enabling you to choose affordable legal services. There is no need to be a victim of your circumstances, when you can take part in the formulation of the solution with a legal expert at your side giving you legal advice every step of the way. Online legal services can be appropriate in many situations. For instance, if you need legal advice concerning child support, contracts, wills, and so forth, services provided online can be both helpful and affordable. If, however, you are being taken to court concerning a criminal or civil offense, hiring an attorney who is licensed to practice law in your location and is qualified for the specific matter at hand is your best bet. At any rate, online legal referral services can connect you with the lawyers, online or local, that can best meet your needs. Everyone wants affordable legal services. The cost of legal services varies between law firms and may depend on the type of case. If appropriate, online legal services can often be much less expensive. By using legal referral services, you can get a wide variety of options, so you can compare costs and choose the most affordable services to meet your needs. Occasionally, lawyers take a case pro-bono, which means that you are not charged for legal services. Pro bono cases usually refer to cases that are for the good of the public, but sometimes pro bono legal services are provided to people without the means of paying for legal services. Attorneys that are interested in the subject of the case are more likely to provide pro bono services. In cases that include settlements, like collecting social security disability or a settlement regarding medical malpractice, injury or wrongful death, some lawyers provide legal services on a contingency basis. This means that if they win the case, they take a pre-approved portion of the settlement. If they don’t win the case, you will not be obligated to pay them for their legal services; but in most instances you will be responsible for the out-of-pocket expenses that the attorney incurs in pursuing the settlement. The most commonly used payment structure for legal services involves having the client pay a retainer – a down payment based on the cost estimate of pursuing the case. The retainer is, however, just based on an estimate. When all is said and done, you may receive a refund of part of the retainer, or you may be obligated to pay more if the costs of legal services, expenses and court costs exceed the amount of the retainer taken up front. In most cases, the law firm will inform a client when the costs are approaching the amount of the retainer, and more will be due before they can proceed with the case. Rest assured that a legal referral service such as this one can find you the appropriate source for the legal services that you need. You will receive legal advice and the best way to resolve your legal problem in accordance with the law. After consulting with an attorney, you will know approximately how much the legal services will cost you and whether or not it will be beneficial for you to pursue the case. Contact LegalHelpLawyers.com put you in touch with the right lawyer for you, and get the peace of mind that comes with knowing your legal rights and obligations.